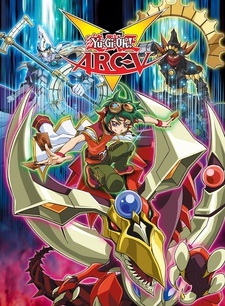 Thanks to the Leo Corporation, headed by Reiji Akaba, new advancements to Solid Vision, the holographic system that gives life to the Duel Monsters card game, give physical mass to monsters and environments, allowing players to interact directly with them. This has given birth to challenging Action Duels, in which duelists may traverse environments to locate Action Cards to help them in a pinch. The story follows Yuya Sakaki, a second year middle school student at Miami City's You Show Duel School, whose father disappeared three years ago when he was scheduled for an important duel. While facing off against the current Action Duel champion, Yuya awakens a new power from his pendant, known as Pendulum Summoning.